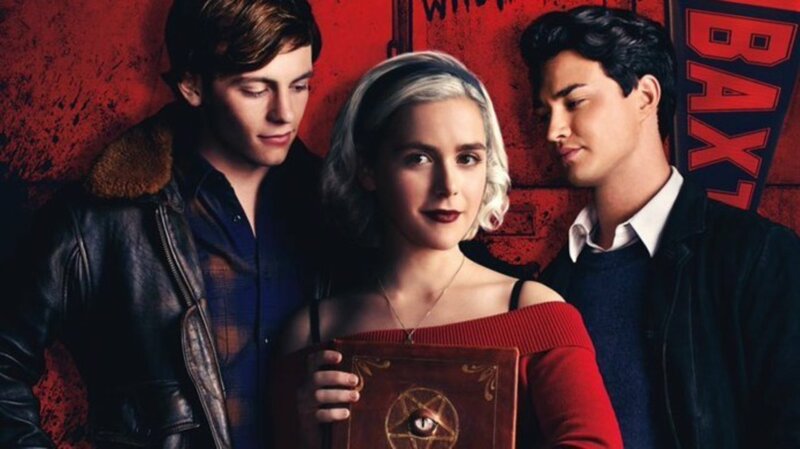 As soon as it premiered on Netflix on Oct. 26, 2018, right in time for last Halloween, we instantly fell in love with Chilling Adventures of Sabrina (ChAOS), a brand-new look at a character straight out of Archie Comics. (And which was presented on TV in a more “wholesome” manner in the ’90s and ’00s.) But today we were graciously treated to our first glimpse at the much-anticipated ChAOS Season 2, which is set to get the Netflix drop next month on April 5. And as we see in the ChAOS Season 2 trailer, the show is about to get darker and sexier. 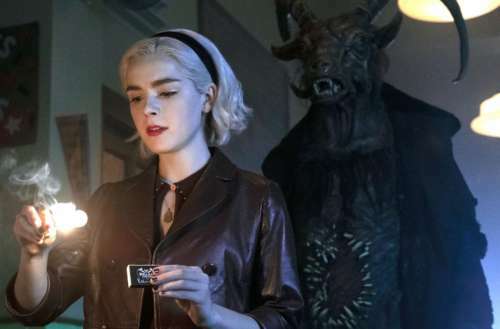 For starters, it appears Sabrina — a half-witch, half-human teen — is really embracing her dark side, relishing in her new powers since she signed her name in the Book of the Beast. 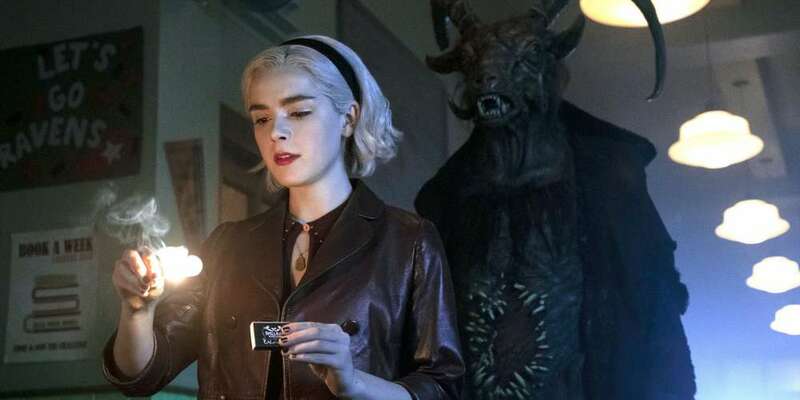 As even her aunt Hilda acknowledges, “Something is different with our Sabrina,” and as even Sabrina herself says, “It’s like I’ve been walking down this darker path.” It sounds like ‘no more miss nice witch,’ and we cannot wait. And last but not least, shown in the last segment of the Season 2 trailer, we see the Dark Lord himself in human form (this ChAOS Wiki actually refers to him as Lucifer Morningstar) as he seems to want something from the powerful teen witch. “Being wicked never felt so good,” the trailer tells us, and yeah, we believe it. Are you looking forward to ChAOS Season 2?